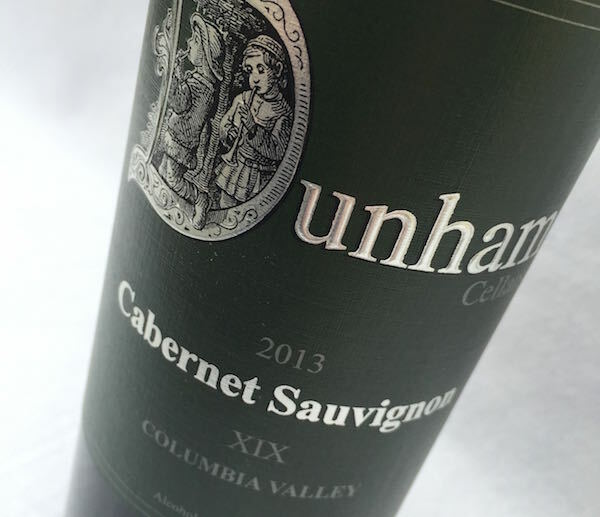 Dunham Cellars’ 2013 Cabernet Sauvignon won best of show at the 2016 Great Northwest Invitational Wine Competition, which took place at the Columbia Gorge Hotel in Hood River, Ore. 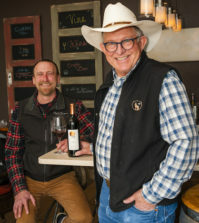 HOOD RIVER, Ore. – Dunham Cellars added a page to its history of award-winning winemaking Thursday when the 2013 Cabernet Sauvignon XIX from the Walla Walla winery was selected as best of show at the fourth annual Great Northwest Invitational. The judging, held at the historic Columbia Gorge Hotel, began Wednesday and concluded Thursday afternoon. The Invite, as it’s known, is unique in the United States, as it is the only wine judging in the country in which the judges nominate the wines they want to have judged. 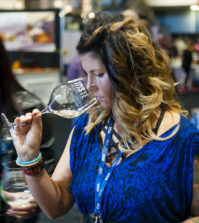 A panel of wine professionals from up and down the West Coast nominated more than 2,000 wines. Of them, nearly 600 wines were entered by the wineries – a record for this competition. For Dunham, the event’s top wine represents the 19th vintage and continues the rich tradition established by the winery’s late founders, Mike and Eric Dunham. The $45 Cab is also another sign of the delicious lineup by left behind by Daniel Wamplfer. He resigned last year from Dunham, one of the Walla Walla’s oldest wineries, to take over at nearby cult producer Abeja. “It’s a special wine for Dan and his legacy, and it’s also a testament to our grower Ken Hart, who’s been doing such a great job for us for years,” Blair said. 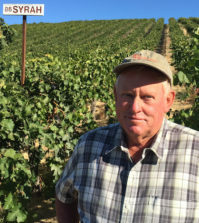 Hart manages the two estate sites that were the primary contributors – Lewis Vineyard in the Yakima Valley and young Kenny Hill. This best-of-show Cab reflects just the second commercial vintage off the 1,450-feet elevation site near Mill Creek in the Walla Walla Valley. Other vineyard sources include acclaimed Double Canyon in the Horse Heaven Hills, Northridge on the Wahluke Slope and Tokar in the Walla Walla Valley. “It’s really the Kenny Hill and Lewis Vineyard show for the most part, but we always tell people that a lot of the Cab from those sites goes into every bottle of our Trutina and Three-Legged Red – our more user-friendly priced wines,” Blair said. Dunham’s program continues to merit acclaim as one of Washington’s top Cabs. Last year, the 2011 Cabernet Sauvignon XVII earned a gold medal at the Great Northwest Wine Competition and was selected in a blind judging by Seattle sommeliers to be featured at the 2015 U.S. Open by the Washington State Wine Commission. Earlier in the year, Dunham Cellars earned best of show honors at the 2016 Walla Walla Valley Wine Competition for its 2013 Syrah from the Columbia Valley. Blair said the 2013 Cabernet Sauvignon XIX is immediately available via the winery’s website and to wine club members. Wine merchants and restaurants in the Seattle and Portland markets are focal points for Dunham, which also is expanding its California distribution. Gehringer Brothers Estate Winery in British Columbia’s Okanagan Valley dominated the Invite and nearly won best of show at the competition for the second straight year. Its 2015 Gewürztraminer/Schonburger was selected the best white wine, and the 2015 Signature Riesling Icewine earned the title as best dessert. The 2015 Dry Rock Unoaked Chardonnay merited best of class, and the Gehringer Brothers 2015 Classic Riesling was chosen as the top Riesling at the event. Van Duzer Vineyards in Oregon’s Willamette Valley used Pinot Noir to earn five gold medals during the competition. Chateau Ste. Michelle, the world’s largest producer of Riesling, also proved that it’s among the best as five of its entries picked up at least a gold medal. Reininger Winery, which started at the Walla Walla Regional Airport two years prior to Dunham Cellars, earned best of class for both its Syrah and Carménère. Naomi Boutz is manager and wine director of The Cellar at 317 Sherman in Coeur d’Alene, Idaho. Amberleigh Brownson is founding wine buyer/co-owner of EAT Restaurant and Bar in Bellingham, Wash.
Dan Carr is co-owner/wine buyer and executive chef of Visconti’s Restaurants in Leavenworth and Wenatchee, Wash., and proprietor/director of operations for Cured by Visconti’s. Doug Charles is proprietor of Compass Wines in Anacortes, Wash.
Jeff Cox is wine buyer for PCC Natural Markets in the Puget Sound. Mike Dunne is the wine columnist for the Sacramento (Calif.) Bee. Ilene Dudunake owns A New Vintage Wine Shop near Boise, Idaho. Chris Horn is the wine director for Seattle-based Heavy Restaurant Group and Purple Café & Wine Bar. Lane Hoss is the wine buyer and vice president of marketing for Anthony’s Restaurants. Ellen Landis is a sommelier, wine journalist and renowned international wine judge. Amy Mullally is the domestic wine buyer for The Wine Country in Long Beach, Calif.
Tim O’Brien is corporate director of beverage at Salty’s Restaurants in Seattle. Katelyn Peil is beverage director of the Seattle-based Heavy Restaurant Group. April Reddout is wine program director of the Walter Clore Center in Prosser, Wash.
Yashar Shayan is a certified sommelier and founder of the Seattle-based retailer ImpulseWine.com. Steve Sinkler is owner of The Wine Shack in Cannon Beach, Ore.
Dave Smith is wine buyer for Everything Wine in Vancouver, British Columbia. Annie Sullivan is the beverage director and public relations manager for Anthony’s Restaurants. Audrey Surrao is co-owner/wine buyer of RauDZ Regional Table in Kelowna, British Columbia. Jean Yates is president of Oregon Wine Marketing. Paul Zitarelli is owner for Full Pull Wines in Seattle and wine writer for Seattle magazine. Gehringer Wines- top winners in several categories- are not available in the U.S, according to the winemaker. What’s the point of inclusion in the list, including dollar prices? 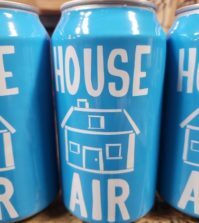 We live in the Pacific Northwest and have been writing about the industry for nearly two decades now. Our coverage area is Washington state, Oregon, British Columbia and Idaho. And the climate in the Okanagan Valley is quite similar to that of the Columbia Valley. They are separated by a man-made border. A large chunk of our audience lives in the Puget Sound area, and Seattle is a two-hour drive from Vancouver, British Columbia. The Gehringer wines are available in that market. And the Okanagan Valley is a beautiful wine touring destination that’s about a four-hour drive from Seattle. As a result, I’ve never heard from an American who hasn’t enjoyed spending a long weekend visiting those wineries and supporting that industry. I understand your frustration regarding the access to these stunning wines, and the attention we give to B.C. wine industry is one of the few complaints receive from readers. We blame governments and bureaucrats for the situation. But as we tell anyone who asks – you won’t be disappointed if you can take the time to visit the region and taste the wines. And folks who live in Wenatchee and Lake Chelan make that 3-hour trip quite often.